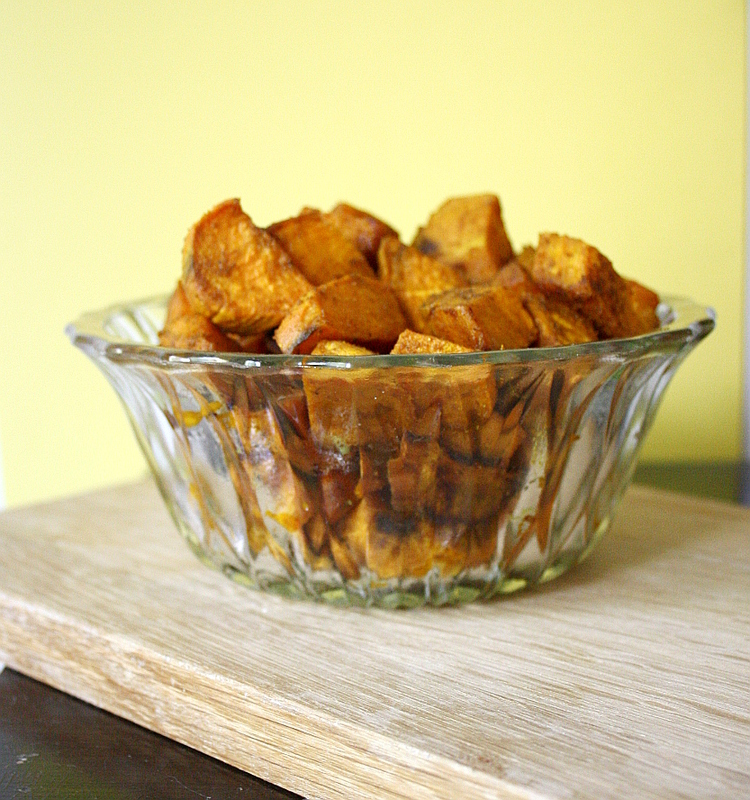 What is it about sweet potatoes that is just so damn tempting? They are so hearty, so creamy and satisfying, and so good for me. I can’t get enough of them! I’ve been making this recipe on steady rotation for the past few weeks, so I thought I would take a quick moment to share it with you all. It’s amazing on its own as a side, or even as a salad topping to add some extra ‘oomph’ to your meal. By baking these chunks in the oven, they come out crispy and beautiful on the outside, soft and chewy on the inside. And the curry/turmeric combination? Amazing. You bet that everyone at work wants to know what I made when I re-heat these bad boys in the microwave. Preheat the oven to 350 degrees, and line a baking sheet with aluminum foil. Peel and chop the potatoes into chunks. When finished, put them into a medium-sized bowl. In a small, microwave safe container, melt the coconut oil. 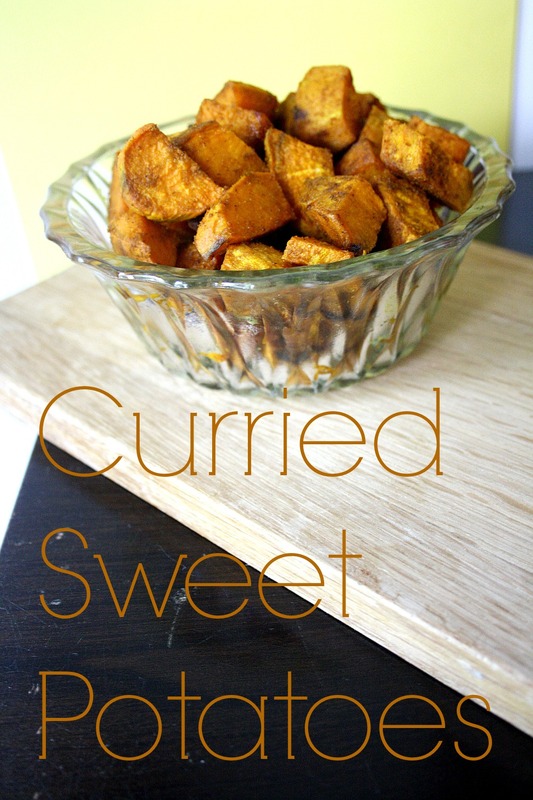 Stir in the curry powder and turmeric, and pour this over the sweet potato chunks. Stir this together with a spoon. Dish evenly onto the baking sheet. Put into the oven for about 50 minutes, turning halfway through. Let cool and then eat or save as desired! I’m going to try this tomorrow! Thanks Jess! They are seriously so awesome. I hope you like them as much as I do! This looks yummy and perfect for fall!! They are! Warms the soul. brilliant. love the coconut oil.